Another name I often come across when searching for vintage jewellery online is Pididdly Links of Kingston, N.Y. 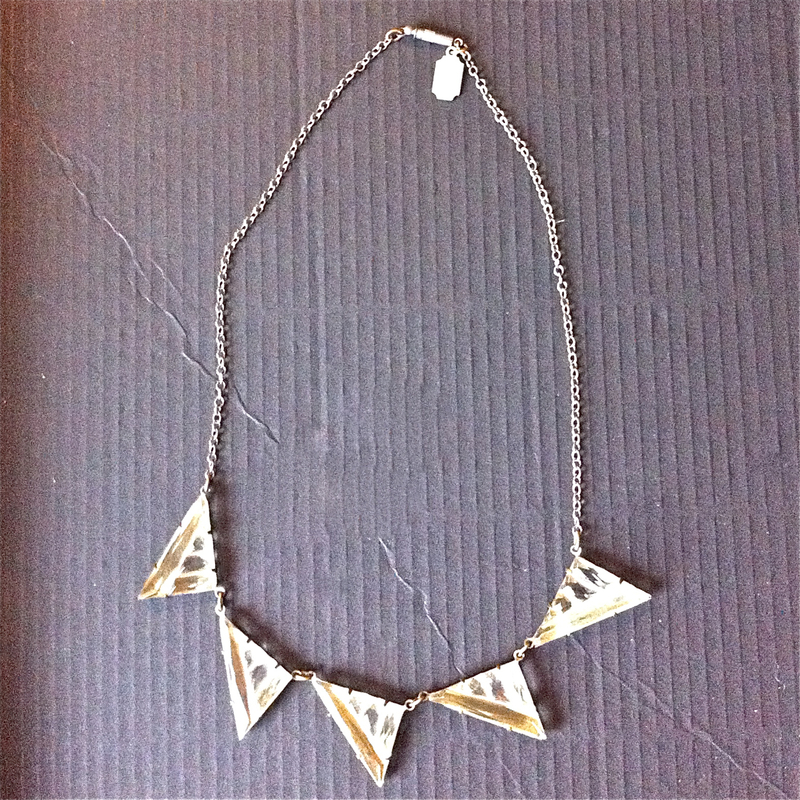 I finally found a real life example of a P_Diddy piece last week: This deco inspired brass and glass necklace. Pididdly Links was a costume jewelry concern that was formed in 1969 and was mostly focussed on reproducing period pieces (there was a vogue for Nouveau and Deco revival designs in the 1970s, influenced by movies like Bugsy Malone and The Great Gatsby and witnessed by the surplus of faux Tiffany lamps, other jewellery companies such as 1928 and the cover of the Bee Gees album, Main Course. The company was founded by Steve and Elise Pittelman and Elise was the main designer for the company until it closed up shop in 1996. I love this necklace because the triangular shape of the panel pieces is very modern, but when you get up close and examine the citrine-coloured poured glass insets, it’s very art deco, Even the brass findings are etched. Its vintage faux vintage at its best!